To purchase the book from Amazon, please click on the book cover. Welcome to the 50's.....Grandma and Grandpa taking care of children, Mom gone, only Dad. Doesn't sound like the 50's to me....sounds more like the way families are today. 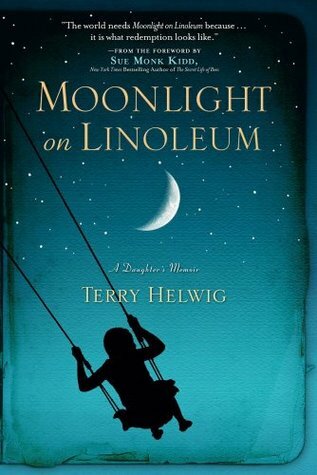 Moonlight on Linoleum is a nostalgic trip back to a life that should have been filled with stable families, but it had two sweet girls who were left with their father and grandparents in Iowa while Mama fulfilled dreams of her own. And…..Mama wasn't done fulfilling her dreams...more sisters arrived and more new schools. Mama liked to go out and leave Terry in charge. One year the girls were in their third school, but at least with this move they had a house to live in instead of a cramped apartment. That didn't last too long, though. They moved again, and Mama kept on with her antics and with Terry in charge of the girls. Wow...what an outstanding memoir. This memoir definitely held my interest and made me feel for the children and how they had to endure their childhood as always the new kid at school and not really a kid at home since they always had to do chores that were an adult's. It is hard to believe how resilient we are as children. This sentence stuck with me: "How was it possible that moonlight on linoleum, washed with my tears, could be so achingly beautiful?" Page 218 I shed and shared Terry’s tears as I read this incredible book. I have to call you marvelous, Terry. Being able to live like you did as a child and to turn out like you did is truly amazing. You are such a goodhearted person and such a good daughter and above all a WONDERFUL, loving sister. Maurice had never met anyone like Laura and Laura had never met anyone like Maurice. They were from two different worlds. Laura doesn't know why she stopped and turned back after Maurice asked her for some money, but she is glad she did. Through Maurice, Laura learned about the life he and thousands of others were living on a daily basis....not a pleasant life at all. Laura was helping Maurice to live a better life at least one day a week, and it seemed to be paying off since she could see a change in him even though he had to go back to his horrible living conditions after he left her. As well as learning about the living conditions of others, the author also gave the reader a chance to find out that her childhood/family life was not very easy.....her father was an abusive alcoholic, and her mother sat by not being able to defend herself or her children. 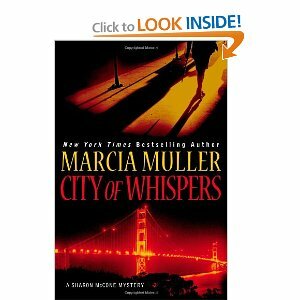 Obviously the author's childhood and the childhood of her brothers and sisters had an impact on their entire life and on her decision to turn back and fulfill Maurice’s plea for help. 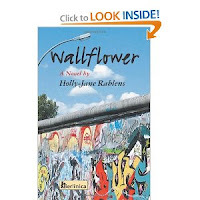 The descriptions in the book are very detailed and heartbreaking but also heartwarming. You will become a part of the lives of every character and you will feel their pain and happiness. 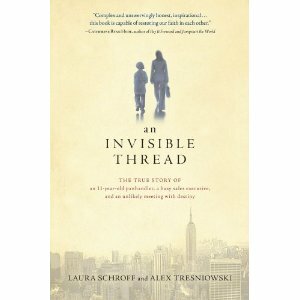 An Invisible Thread is the perfect title for this book. 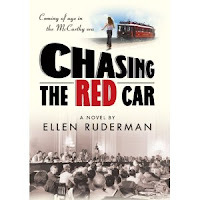 The book brought to the surface that we all have a connection to other human beings even though that connection may not be outwardly visible. 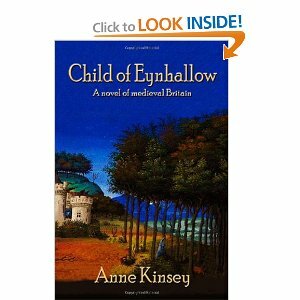 A beautifully written and detailed book. A story that will make you feel as though you are actually living that specific moment with Sybil. You will find out about Sybil's unhappy, overly protected childhood and how she dealt with it all and how it affected her entire life. You will find out about the angel Sybil listened to and the angel she doubted as she got older. Her strong-willed mother, loveless childhood, and times of poverty definitely affected her life decisions. Despite any setbacks in her life, though, she managed to find her inner peace. This quote early in the book sums up the emotional state of the book. 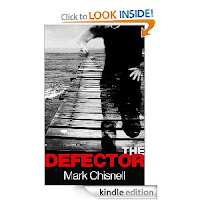 It is an enjoyable read as well as a heart wrenching and soul searching book. Page 16 - "It was the beginning of her emotional relationship with people other than the family she'd been born into. Aura was the first person who hurt her. From her, she would learn about bitterness and frustration, about the failure of some human beings to see that hate is only an inch from love, and that we have in us the power to join them or keep them apart." If you want a book that will make you think and listen to your inner yourself, you will want to read Sybil's story. A childhood of neglect and a feeling of inadequacy is how Eleanor Roosevelt grew up. 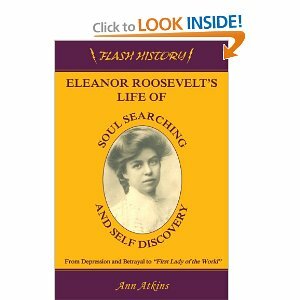 Her marriage to her fifth cousin was no better for her self-esteem....Franklin Delanor Roosevelt was a womanizer with a mother who had control over him and also Eleanor. Eleanor was a woman of the era in which she lived, and she live it well and the way a woman was expected to live even at her expense. She was a powerful woman despite the way she had to live, and then she realized she could make a difference and came out of her shell to do remarkable things in history. She thankfully is our history. The book was very well researched....I learned many facts I was not aware of. It was a splendid re-living of history for me. I didn't know Eleanor was at the heart of the New Deal and many other programs....I must not have been paying attention in history class. The beautiful photos also enhanced the story. 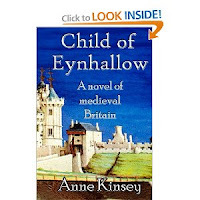 The author, Ann Atkins, asked if you want to order a book it is best to do it from her web site - better price, free shipping and some of the proceeds go to charity.